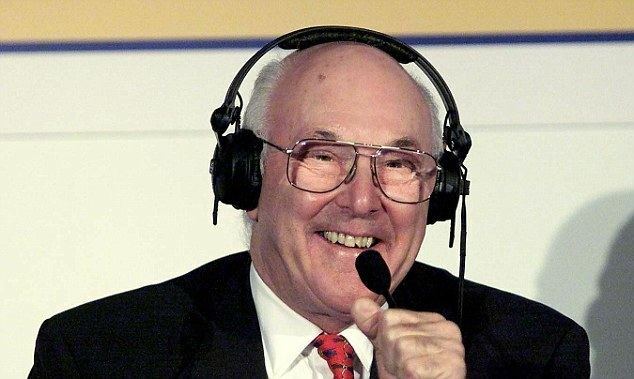 As Murray Walker celebrates his 95th birthday, this is an intimate portrait of a sports commentator who became a national treasure thanks to his enthusiasm, knowledge and his excitable dramatic voice, which defined a golden era of Formula 1 motor racing. It is also an inspiring and heartwarming tale of a man who came to sports broadcasting late, but until recently was still working well into his nineties. Murray relives his early days as a tank commander and as an advertising executive. He gives an insight into his life and extraordinary career in the fast lane involving some of the greatest ever moments in Formula 1 history. Tales of his charismatic personality and some of Murray's famous bloopers for which he is fondly known are included. Universally loved by all, there are contributions from the great and good of the sport including Nigel Mansell, Damon Hill, Lewis Hamilton, Jenson Button, Fernando Alonso, Eddie Jordan, David Coulthard and Martin Brundle, plus broadcasters Steve Rider, Des Lynam, Suzi Perry, Jake Humphrey and Chris Evans. Just watched it, really great, thing i never realised is he effectivley started commenting after retiring from advertising. A good edit of previously used footage. I kept trying to work out when it was made as there were only a few bits of new stuff, Bernie with a goatie and the stuff in Murry's office. He was great though, and no one since has come close to being as entertaining whilst commentating. I also wondered were teh last 17 years have gone as it's been that long since old Trousers on Fire hung up his mic. His autobiography is a good read. Especially the bit regarding 70s quality control, one car sold new to a customer with disk brakes on one side and drums on the other ! Murrys Senna accident comments struck in me a memory of reading Adrian Neweys Book ..How to build a Racing Car. This book is a good read especially his words on the Senna death & comments re the Williams Italian Court case.. had to read that bit twice to fully understand the facts. Mrs F & I really enjoyed this, I would have liked a bit more about his early life, but it was a great watch & wonderful to see Murray so fit & healthy at that magnificent age.